Holidays are times for Family reunions. Our beautiful country is vast and family members often live hundreds of miles away from each other. Are you inviting your Mom and Dad to your home for Christmas or have you been invited to their place? 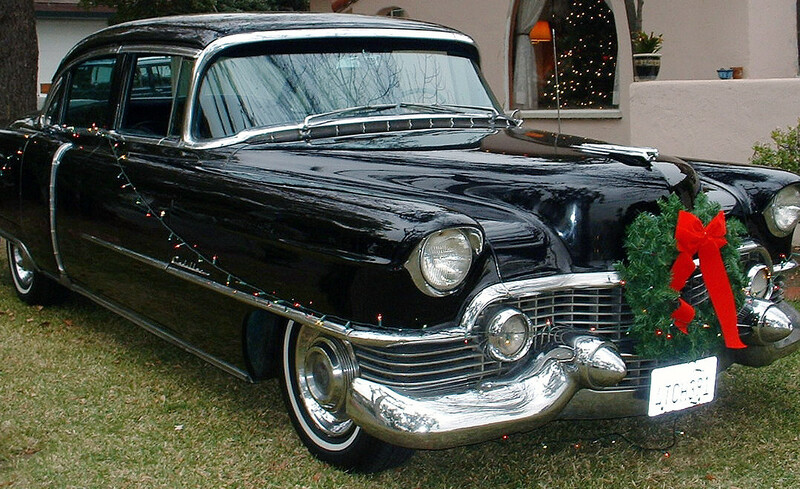 In case you are expecting your Senior loved one in your home, here are some points to consider before your Mom or Dad gets behind the wheel of their beloved older Cadillac. Are Mom and Dad’s Driving Abilities Declining? This is an important question to consider. We all want to be independent and driving is part of our independence. However, there comes a time when driving longer distances, presents more risks than potential benefits. During your last visit with your parents, have you observed any of the herein-below signs that may indicate that Mom or Dad’s driving skills are declining? Most medications, both prescription and over-the-counter, can cause drowsiness, slower reaction, confusion. Check if your Mom’s medications contain any warnings of this nature. Please keep in mind that if Mom or Dad show early signs of dementia, they may not be self-aware that they pose a risk to themselves and others while driving . If Mom’s declining driving abilities along with side-effects of her medications are not troublesome enough, please keep in mind that often uncooperative winter conditions will compound and complicate Holiday driving. In 2013, there were 5,671 people 65 and older killed, and an estimated 222,000 injured, in motor vehicle traffic crashes. Seniors made up 17 percent of all traffic fatalities and 10 percent of all people injured in traffic accidents during the year . Holidays and Family reunions will be best enjoyed and truly festive when everyone is safe. Safety of our loved ones should always be the number one priority. If you or your Mom’s Caregiver observe the signs and symptoms described above, it may be safer to arrange for a Caregiver to drive her to your Christmas party. It is not too late to make those assessments and arrangements. 1. National Institute on Aging, June 2011. Older Drivers. 2. National Highway Traffic Safety Administration.Traffic Safety Facts 2013: Older Population.Rev. November 2015. I just wanted you to know how much I appreciate the efforts of one of your aides, Kim. She regularly goes above and beyond the “call of duty”. She is patient and knowledgeable (…). It would be nice to give her an award if there was one to be given.